Four unsuspecting attackers get a little more then they expected. In a life and death situation who would you want by your side? Kira Lynn Niehaus in "BackSlash"
Clips of Kira from scenes in "BlackSash"
Rebound will give you that extra burst of energy when you need to get away fast or throw that last punch. 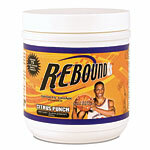 You only have to be faster than the slowest person but why not be the leader of the pack with Rebound fx. Click on the image to order now! 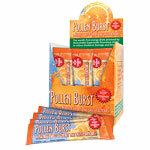 When the nights are long and you are on watch... you are going to want Pollen Burst! We're talking a clean energy drink that'll get you moving and keep you from crashing. It's chock full of nutrients and comes in 2 delicious flavors. Click on the images to order now! Join Us in Saving The World. $10.00 gives you a lifetime membership and 30% off all your Anti-Zombie Products... your life could depend on it! You don't know how close this is to becoming a true story!